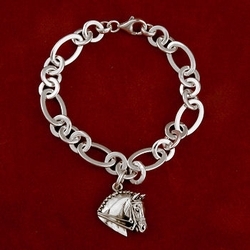 Dressage sterling silver horse head on sterling silver oval link bracelet with lobster closure measures 7.25″ but additional links can be added to measure up to 8″. 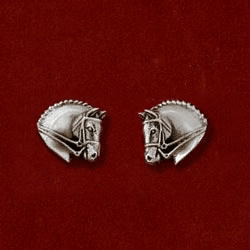 Horse head measures 7/8″ x 7/8″. 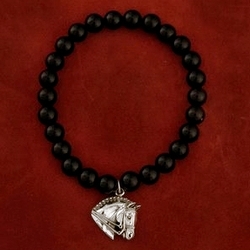 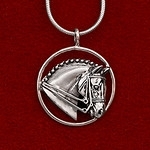 Can come with other horse heads as well!